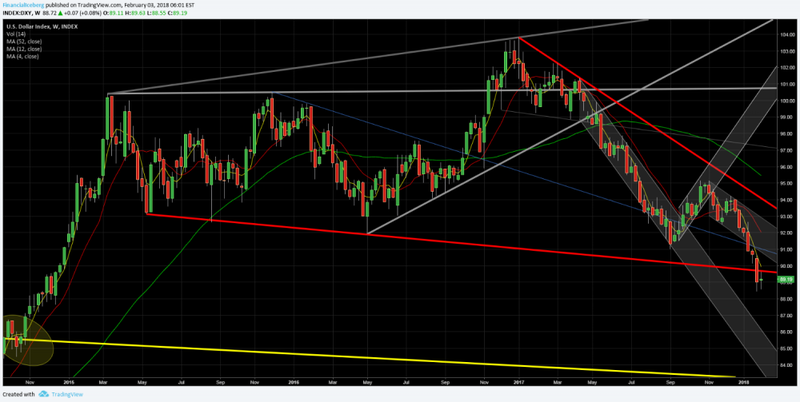 ​Major ​Divergence​ with the US Dollar Index (DXY)​. 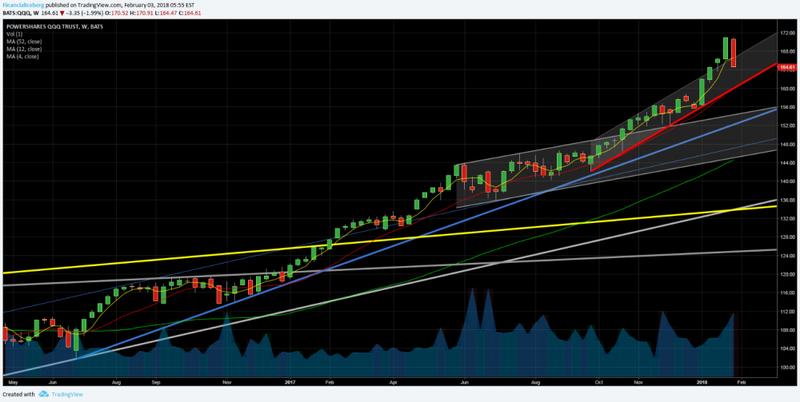 B​ulls must protect the Support Trendline (blue). ​Megaphone​​. 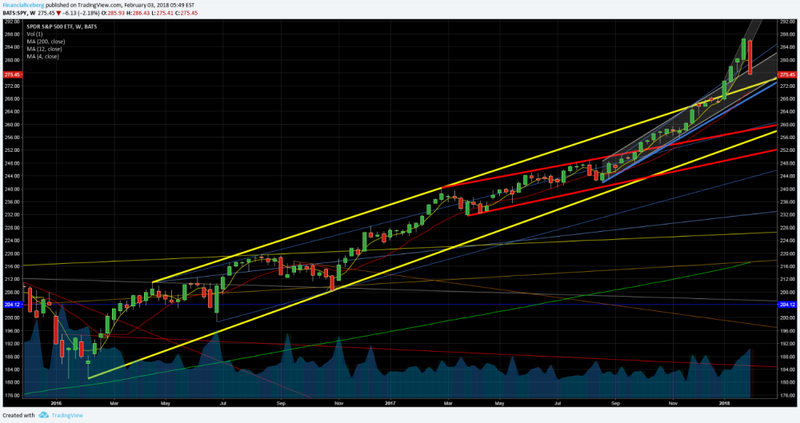 (See second chart below - Red Trendlines). .
​Channel.​​ (See third chart below - ​Channel)​​. 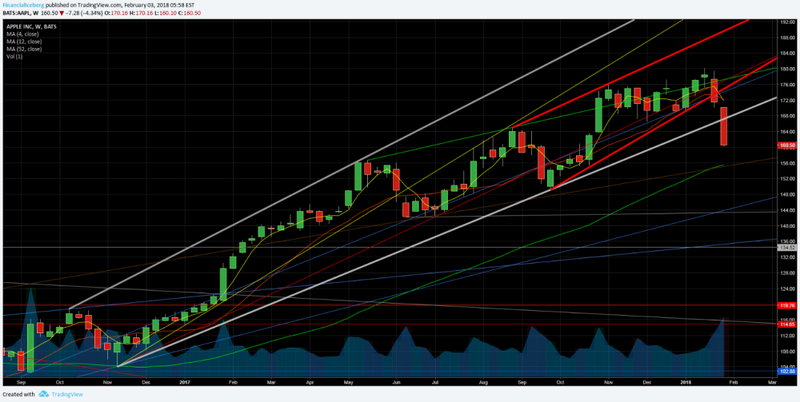 ​Next Weekly Support is the red trendline. 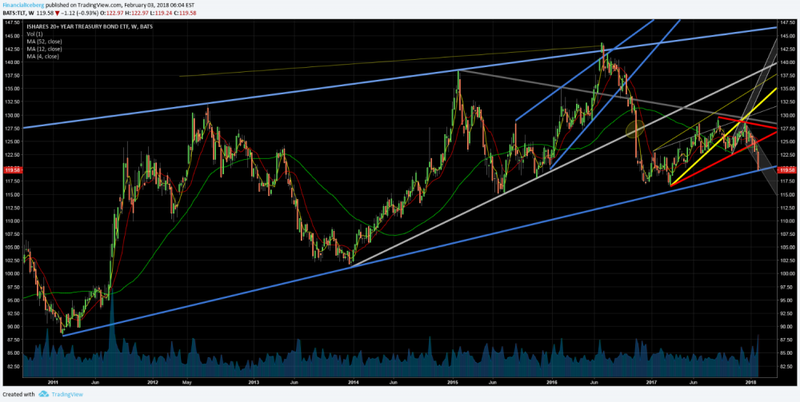 6) TLT ETF (iShares 20+ Year Treasury Bond ETF) Broke 3 weeks ago a Weekly Rising Wedge Support Trendline. 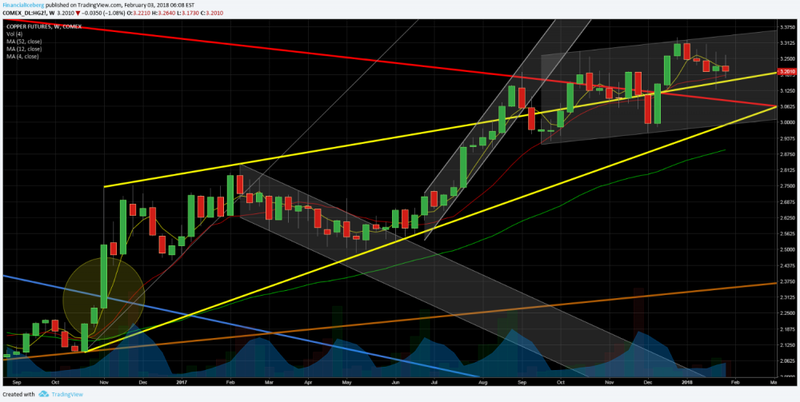 (See sixth chart below - Red Trendlines)​​ Testing a Major Weekly Rising WedgeSupport (blue). 7) VIX Index (​SP500 Volatility-CBOE) Broke last week a Weekly Falling Wedge Technical Pattern. (See seventh chart below - Grey Trendlines). 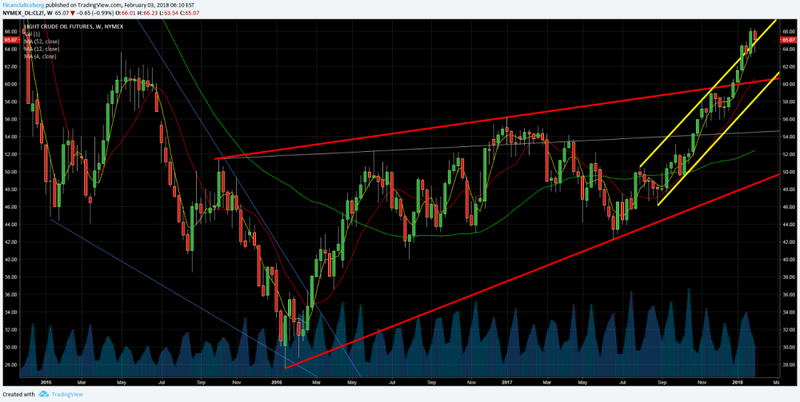 8) Copper Futures (HG2-COMEX) Tested and Rejected 5 weeks ago a Weekly Uptrend Resistance Trendline. 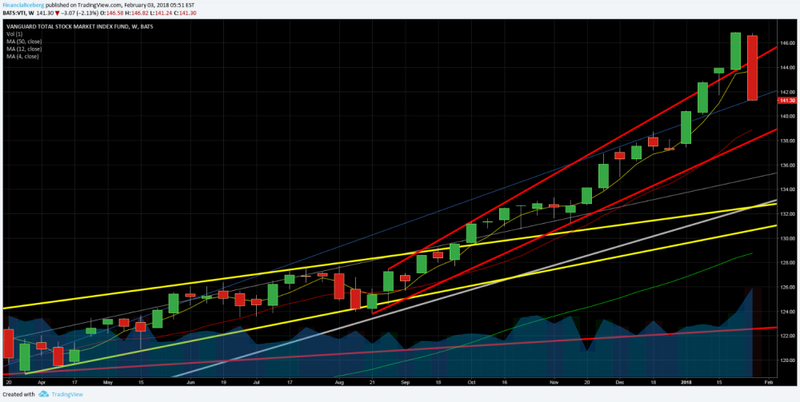 The US stock market entered its first correction week after a melt up phase in January 2018. 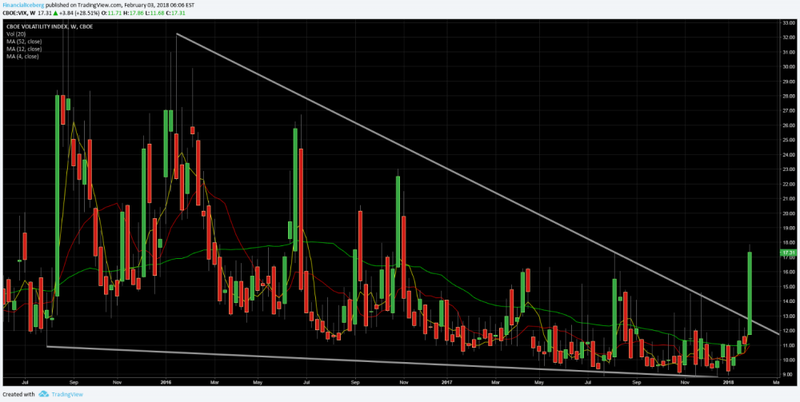 The weekly VIX chart confirmed that we are getting into a more volatile trading environment.